The Seychelles are one of those epic destinations most saltwater fly anglers dream of, pirates and all. The Seychelles are back in business and one of the people who got to go there when it re-opened was Camille Egdorf. The story of the Seychelles fishery, the pirates and the re-opening was captured in film format by Confluence Films, the same folks who brought us Waypoints and Rise (among others). 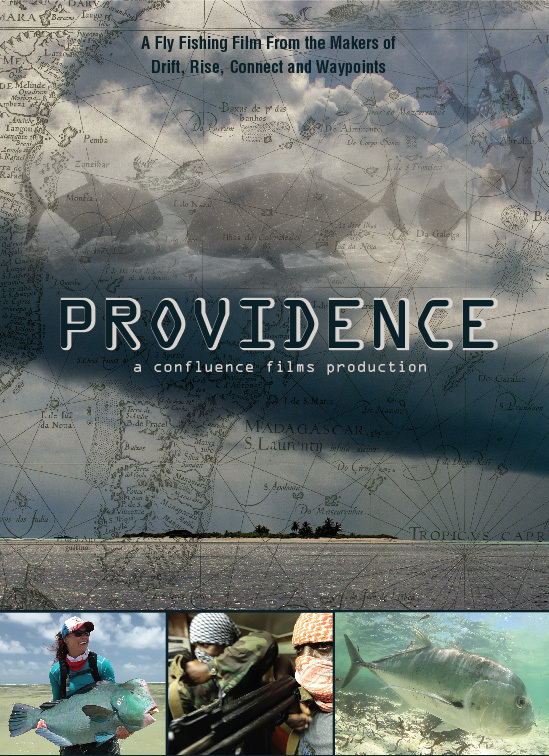 This film, called Providence, is visually stunning, with more of a narrative arc than we might have seen before. The film focuses on this one place and it is utterly worth watching. I got to do an email interview with Camille Egdorf, who works for Yellow Dog Fly Fishing. Here are her answers. Spending so much time in the wilderness in Alaska and then going out to the Seychelles, a different kind of wilderness, what were the similarities and most glaring differences in those two types of wilderness? I’m no stranger to being in the middle of nowhere and I’m really quite comfortable with it. Being totally immersed in nature is a great way to completely lose your mind and also find your soul. You can find the feeling of solitude, inferiority, adventure and mystery both in Alaska and in the Seychelles. They’re both surrounded by nothing more than what Mother Nature put there eons ago and you’re completely at the mercy of it. It’s humbling. Of course, there are some major differences between the two. The biggest most obvious difference is you’re surrounded by hundreds of miles of water in the Seychelles. Of all the things that intimidated me, the ocean intimidated me most. I’ve never in my life felt so belittled and insignificant. The fishing there is like fishing on a foreign planet where the various species are colorful, weird, fast, deadly and completely alien to a trout fisherman. You caught a lot of different species in the Seychelles. Which was your favorite and why? It’s tough to pick a favorite. As you know, everything in the ocean is bigger, faster, stronger has more teeth, tougher scales and bipolar attitudes. And if they don’t they inevitably get eaten. So everything brought it’s A game and fought harder than anything I had ever tangoed with before and I loved every second. If I had to choose though, I’d say GT’s were the highlight. They’re intense on so many levels and no matter how many you catch, they always leave you either completely demoralized and defeated or triumphant and accomplished. They’re fast, aggressive and are so visual that there truly isn’t anything that can compare. How do you prepare, gear-wise, for a trip like that where you are going to be fishing for everything from bonefish to GT’s? Most times it’s organized chaos when trying to compile the right gear for a trip of this magnitude. But I try to keep it simple and avoid bringing copious amounts of rods and reels that I probably won’t even use. I’ve seen anglers pack 10 rods for a week-long trip and to me that’s excessive and just a headache. 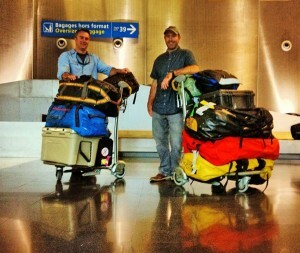 They’ll pack an 8wt, a 9wt, a 10wt and on and on which will leave them with enough rods to outfit 5 people. For this particular trip I had two 8wt’s and two 12wt’s which kept me fishing all the time and allowed me some insurance if I broke a rod. My best advice is to pick two rods of a different weight that are capable of handling several different species. This will allow you to pack light but also keep you covered for a variety of species and in the unlikely event a rod is busted. When you are on the water a lot you tend to see things that other people have never seen and would never believe. Is there something like that you’ve seen on your time in the water? There are certainly moments that come to mind where I couldn’t believe my eyes. But there is one situation I continuously look back on and laugh. I guided in Alaska for about 7 years at my parents fish camp, Western Alaska Sportfishing, on the upper Nushagak River. It is very remote and the only other fishermen you see on the river are bears. One day I was guiding a couple fishermen through a section of river that was full of salmon. We were having a blast catching fish when we rounded a corner and startled a young grizzly about 30 yards away. It was so surprised by the boat full of yelling fishermen that it got mad and started taking all of its anger out on a small willow tree. The sight of a roaring bear mauling a little tree will stick with me for life. We laughed about that for hours. What were the rods/reels your brought with you? For rods I used the Echo 3 Salt the entire time. I mostly stuck to using the 8 and 12wt which I’d swap out when I either saw a bonefish or GT. The 12wt is a great big game rod, mostly because of the added grip above the reel so you can really put some leverage on bigger fish. I put those rods through hell and truthfully, they should have busted but never did. For reels I used Hatch. I’ve used Hatch Reels before and knew they were nearly bulletproof so I went into this trip knowing I was in good hands. They’re sealed which makes them great for saltwater fishing and keeping salt out of the gears. They’re simple to take apart and if you need to clean any sand or grit out, you can open them up without having to worry about springs or screws flying everywhere. Do you think it makes more sense to spend money on a premium rod or a premium reel for this sort of trip, assuming you could only go one of those directions? Absolutely. The saltwater environment is a harsh one and not just because everything gets a healthy coating of salt. As I mentioned before, everything in the ocean is bigger, faster and stronger and as a result, will put your gear to the ultimate test. It’s imperative that you bring quality equipment otherwise you’ll be stripped of any dignity you may carry as a fishermen within seconds of hooking your first GT or large bonefish. These fish don’t mess around and neither should you. Even the best equipment in the industry has a tough time holding up to these conditions and fish. In short, you ultimately get what you pay for so it pays to dish out the cash. What one piece of gear that was totally critical on your Seychelles trip (non-rod/reel)? There are two actually – sturdy wading boots and sunglasses. Roughly 99% of our days spent on the flats of Providence were on foot and if hadn’t had good footwear, I would have ended the trip with stubs for feet. Having good eyewear is mandatory if you want to spot fish and keep your eyes from being burned out of your head. I would have been in a world of hurt without my Costa’s. Where is the next saltwater location you are planning on traveling to? I don’t have anything planned for saltwater yet but I’m hoping to get down to Belize. I have a serious fascination with Permit and haven’t had the chance to target one. So I’ve got my heart set on that for this winter. Aside from that, my next big trip is to Kamchatka, Russia to host a group of anglers for Yellow Dog Flyfishing Adventures on the Zhupanova River. Big rainbows dwell in those waters. Thanks Camille. It looked like a fantastic time out there and glad to see you put the stick to some impressive fish. I got a chance to get a sneak peak at the new film from Confluence Films, Providence, yesterday. It ruined me for the rest of the day. You’ve heard of the Seychelles and maybe about the piracy incident that shut down the fishery in 2009. This movie is the story of the re-opening of the fishery. The fishing looks just insane. 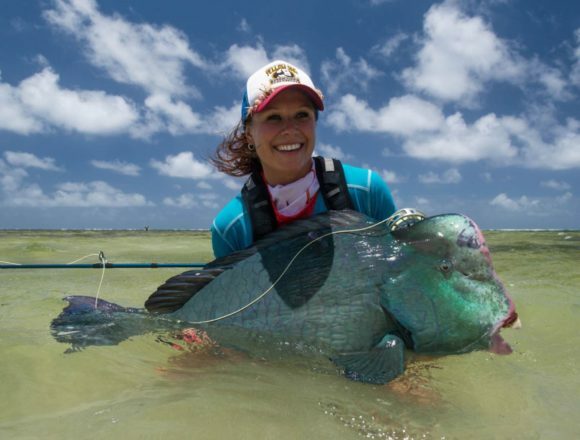 How many species do you want to catch and how big would you like them to be? Cuz, the Seychelles has you covered. If this film doesn’t fill you with wanderlust, you may want to check your pulse. Just amazing and so on my bucket list. I got to watch Waypoints the other night. I like the whole thing. I loved it, really. I loved it not just because of the St. Brandons bit, which was awe inspiring, but for the other great stories, interesting personalities and jaw dropping beauty of the locations. We all have waypoints, as the narrator points out. For me, they are easy to trace. My trip to the San Juan with my friend Andrew back around 1999 and our trip to Oregon around 2000. My first trip out on the Lower Sac with Shane. Hawaii. Grand Bahama. Belize. Andros. Grand Bahama. Cuba. Florida. They are clear waypoints in my angling life and as I watched Waypoints, I could see these trips were also the waypoints in the lives of those in the movie. Beautifully filmed. Wonderful locations. Go see it. Go buy it. Go enjoy it. 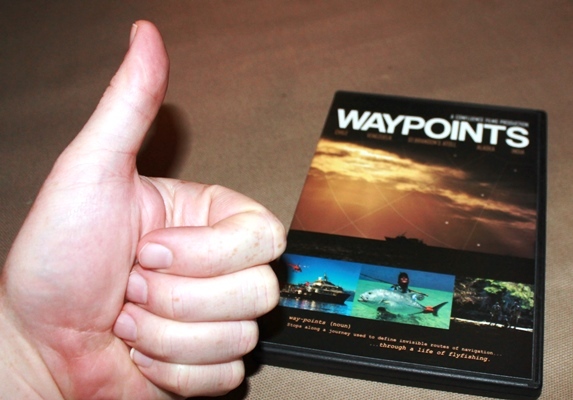 I know I’m looking forward to seeing this… Waypoints, the next video from Jim Klug and Confluence Films. This film included footage from St. Brandon’s… yeah… that’s my dream. That’s right… I’m upset with Confluence Films. I’m upset for several reasons, but primarily because I’m selfish and prone to jealous. See, they are off to begin filming for their follow-up to Connect. I kind of love Connect because it is beautifully filmed, expertly crafted and also features the same waters in Cuba that I fished with one of the Confluence Film founders, Jim Klug. Where do they go to start filming for this next film? St. Brandon’s Atoll (also known as Cargados Carajos Shoals). That is why I’m upset. Why would that make me upset? Primarily it is jealousy and my penchant for selfishness. See, I want to be fishing St. Brandon’s Atoll. Me! I want to go there! Now! St. Brandon’s is in the middle of no where. The operation is a live-aboard as I don’t think there’s actually much land there. What you do have are just silly numbers of unmolested bonefish and Indo-Pacific Permit, GT’s and who knows what else. The place is located to the east of Madagascar, way south of the Seychelles. I have no idea how long it takes to get there, but I’m guessing it is really, really quick, easy and comfortable to get to some tiny islands off the east coast of Africa. I mean, how hard could it be, right? And if you forget something, I’m pretty sure you can pop into the local Walmart or fly shop, right? St. Brandon’s. Man. That is going to be kind of amazing footage. I know it is going to be too long for me to wait to see the footage from St. Brandon’s, but I can’t wait to see it. When you talk bucket lists, this place is tops. New vid is out from Confluence Films, same folks that did “Drift,” Simms is promoting it, looks fantastic… has some bones mixed in with the rest of the fishing world… tarpon, redfish, trout… I’ want this.